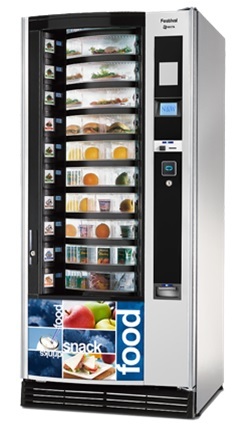 Fresh food vending machines work as a great accompaniment to hot beverage machines, or as a separate proposal. The user is able to select from a wide range of fresh food items, small meals, and confectionery products. It can be important to offer staff, customers, and visitors easy access to these items at a reasonable price. 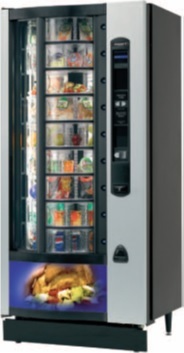 Caffeica can supply a range of stylish fresh food machines that are easy to operate and suitable for different spaces. All machines can be configured to hold a variety of items. 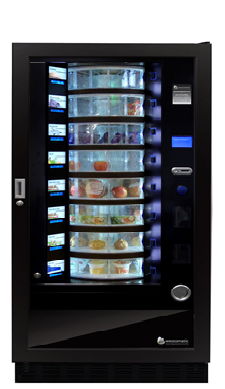 Caffeica are able to provide a fully managed service: our operators will regularly restock and clean these vending machines for you. Moreover, an easy to use payment system is an integral part of every model.